In Remembrance of “Ricky” Royal. 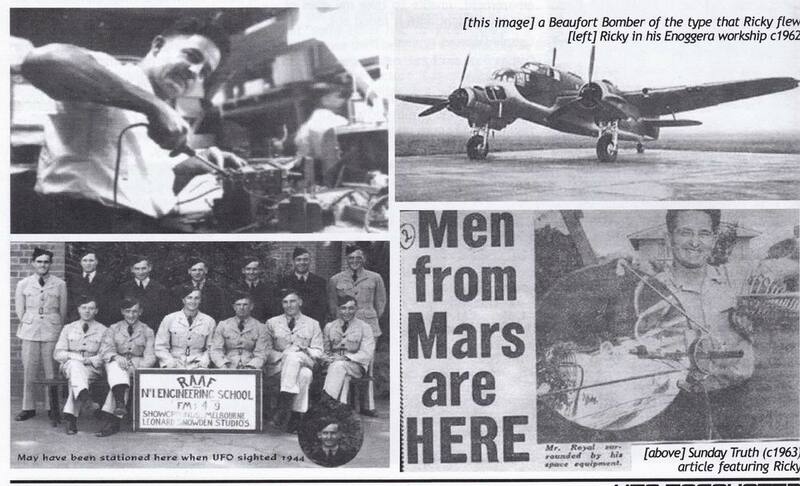 Thomas Richard Royal, popularly known as Ricky Royal, embarked upon his passionate interest in UFOs towards the end of WW2. In 1944, while flying over Bass Strait in a Beaufort Bomber, Ricky saw a dark shadow, belching flame from its rear which then flew parallel to his plane while remaining at a distance of 100-150ft. This object paced him for approximately 18 minutes then accelerated to 3 times the speed of Ricky's plane, emitting 100 feet to 150 feet of flames while doing so. Ricky estimated its speed to be 235mph flying at an elevation of 4500ft. Soon after he submitted a report to The Australian Flying Saucer Research Society describing what must have been a terrifying experience for a 29 year old during wartime. 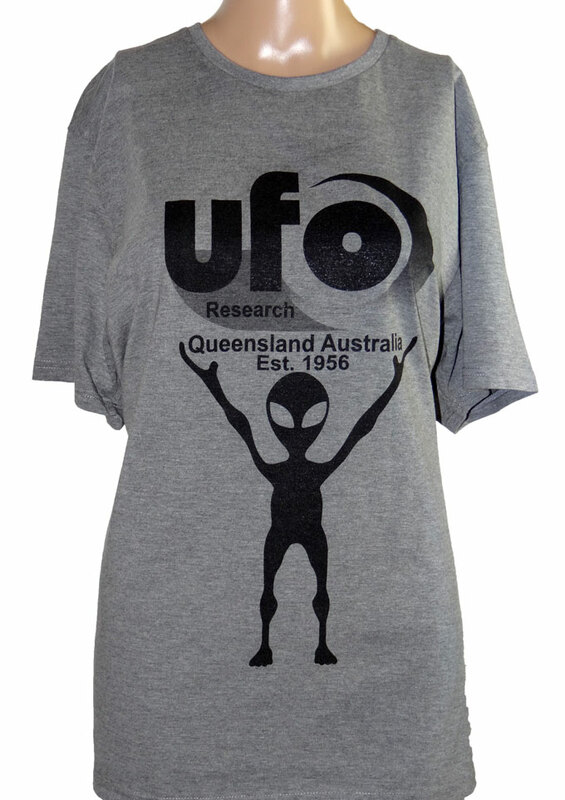 This incident inspired Ricky to spend the next 25 years of his life involved in UFO research during which time he, along with other interested members of the public, established the Queensland Flying Saucer Research Bureau in Redcliffe, Queensland in 1956. By this time there had been many reports around the world of UFO sightings which fuelled the interest of the Bureau here in Australia. Ricky's daughter and family historian Trish recalls this time in her life very clearly, especially when the Bureau was visited by a noted identity from America whose name was George Adamski. This almost alien-like icon was organized to stay at the Royals residence, but they didn't know exactly what to expect of this chosen contactee of alien crafts. 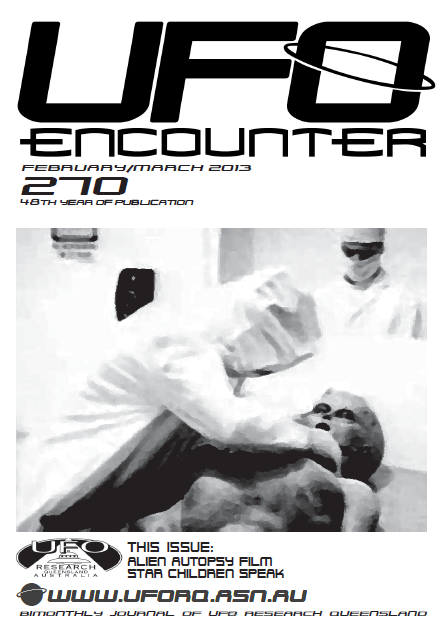 However the visit turned out to be very memorable with Adamski telling the family of his experiences which left them feeling sure that they too would be visited by these unknown entities from outer space in the near future. This prediction by Adamski may have proved quite accurate as the family had a group sighting around 1956 while living at Scarborough near the Redcliffe Peninsula. The family house looked out towards Deception Bay and on one very clear evening, just on sunset, Ricky called the family out to witness what Trish believes to this day to be a UFO. The object was heading north to the other side of Deception Bay in the direction of the Glasshouse Mountains. Of course, Ricky always kept his eyes open towards the skies as often as possible and by the time he had called the family to witness the UFO, it was too far away for Trish to distinguish the shape, but she described the behavior as not being that of a helicopter or aeroplane. It was traveling fairly slowly at first but then suddenly accelerated and disappeared, not out of sight over the mountains, but completely GONE. The neighbours saw the family gathering on the seashore and knowing that Ricky was a "Flying Saucer Nut", joined them in the hope of seeing the UFO too. Pursuing his passion, Ricky built himself a powerful telescope and Trish remembers him spending hours on end grinding the lenses until he had a means of viewing the heavens, the moon, the stars and of course any UFO that may come his way. This telescope was the centre of attention in the neighborhood with Ricky allowing anyone who wanted to look at the moon and see the wonderful sights near and far. Ricky also built a light beam transmitter with a microphone attached using his knowledge of electronic engineering gained from his Australian Airforce service. The transmitter was used to send friendly messages into space with the hope they'd be picked up by spaceships from other planets. The transmitter was designed using magnetic fields, similar to the design of a Cathode Ray Oscilloscope, an early version of the TV receiver we know today. Various experiments in making contact were undertaken by members of the Bureau in and around Brisbane with one chosen location being Clear Mountain, north of Brisbane. A previous test had been carried out at Redland Bay but disappointingly with no response from ETs. Sadly Ricky’s involvement with UFO research ended with his untimely death from a heart attack in 1969, but his enthusiasm never waned since the beginning of his UFO interest in 1944.